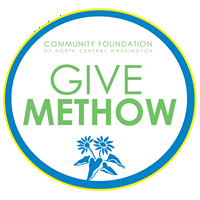 During October, TwispWorks is participating in the Community Foundation of North Central Washington’s Give Methow campaign – a month-long fundraising effort where people can contribute to participating nonprofits located in the Methow Valley. We are asking you to support TwispWorks’ programs that help families, businesses and key industries leading to a vibrant and diverse local economy. Our Advocacy efforts help critical industries in our community. We led efforts to keep the Smoke Jumper Base and its nearly two dozen living wage jobs in the Methow Valley to protect people, homes and businesses from wild fires. TwispWorks is spearheading efforts to improve local high-speed internet access and other infrastructure improvements to create an environment for businesses and workers to be successful. Our Partnerships include work with the Methow Housing Trust and the Little Star South. We are addressing root causes of economic instability like affordable housing and quality childcare. The Methow Investment Network connects local businesses needing funding to start or grow their business with people wanting to invest their dollars locally. To-date, more than $970,000 has been made available to local businesses creating 30 new jobs. Our Main Street Program drives conversations with local businesses to understand their challenges and opportunities and build mentoring relationships between businesses and local experts. This year we have met with dozens of local businesses. Our Methow Made Program provides sales, marketing and retail support to local producers, artists and innovators. 40 local small businesses and 12 retailers are now part of the program. The TwispWorks Campus is a community asset and an economic engine. We have 35 organizations operating on the TwispWorks campus creating more than 85 local jobs. While we’re seeing great results, there is still much to do to make the local economy work for everyone! The reality is this: if people cannot secure living wage jobs, if local businesses cannot operate profitably, or if the services and infrastructure to support residents and visitors alike is not available, then the Methow Valley will cease to be the special place it is today. The monies contributed during Give Methow receive a partial match through a stretch pool of funds and the CFNCW is taking care of all credit card fees, so your contribution will make an even bigger impact supporting the families and businesses who make the Methow Valley home. As part of Give Methow, every Monday, any donor contributing online will be entered to win $500 that they can contribute to a participating charity of these choice – so please contribute today. Thank you for supporting TwispWorks and the health of the local economy!